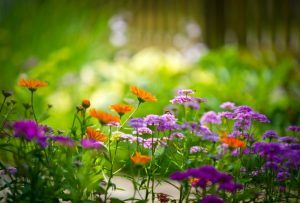 What is Garden Flowers for Everyone? Established in 1991 as a small gardening and flower shop, the venue is run by a couple who decided it was time to put their passion for plants to good use and help people who were in need for flowers, gardening tools and various elements that are aimed at helping one improve his or her gardening skills. This way, the idea of a shop that could help gardeners all around the country and why not, the world, took form and the two also realized that a website would serve as a good way of popularizing their shop and selling their products or offering their services. This is what this site was aimed at and it will be a good starting point for those who are passionate about gardening, and wish to have a look at the various flowers and gardening tools that the shop has to offer. Needless to say, that as time passed, their shop became more and more popular among the local gardening scene and among all those who shared a common passion for garden flowers and their beauty. Initially founded on the basis that it would provide only seeds and grown plants for the customers and no other gardening apparel or tools, the shop owners have in the end decided that it was a good idea to also commercialize the tools necessary for gardening and cultivating the sold plants. In the current offer, the shop has over 100 different gardening flower species, many of which are only available in this shop and which have grown a significant reputation among world gardeners and plant aficionados, as being rare or even unique. This however doesn’t include protected plants and flowers which one might expect to find in a national park or preserve, since the law forbids commercializing such plants.